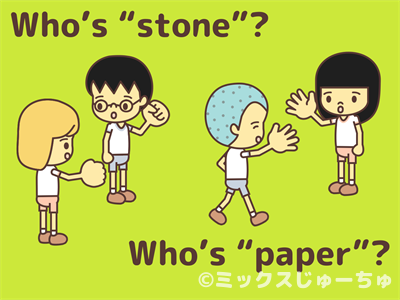 The “Stone, Paper Game” is a kind of “Janken” which we use only the stone and paper shapes. We do this game when you make teams. 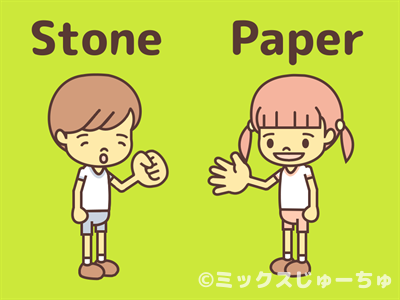 The “Stone” is to bend all your fingers and make a stone shape. The “Paper” is to spread all your fingers and make a paper shape. 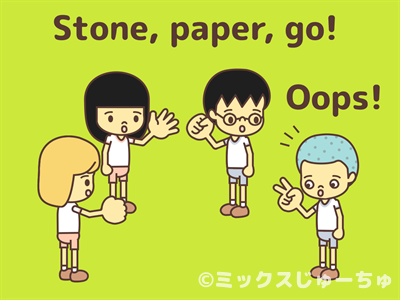 Everybody call “Stone, paper, go!” and make one of the stone or paper shapes. When the number of children in each team is equal, gather by the team and start a game. 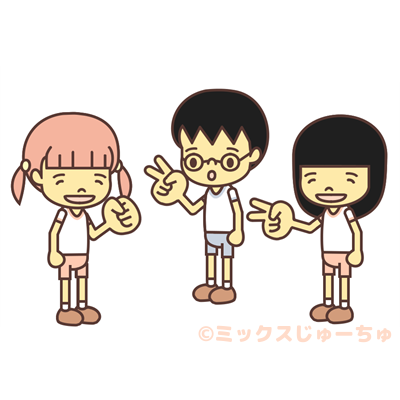 When the number of children is not equal, repeat the “Stone, Paper Game” until it gets equal. There is a rule that when someone made a mistake and made “Scissors” shape, we think that scissors are the sprout and grows to a shape of the “paper”. So he can join the “Paper” team. 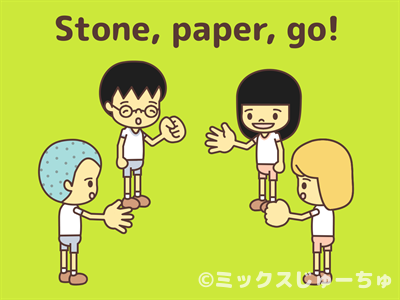 When there are so many children, you can do the “Stone, Paper Game” in pairs and make two teams.